Florida and more specifically the south of the state has always been characterized by being one of the most globalized sites worldwide and this is not only seen socially or economically but in the area of ​​real estate investment the benefits have been increasing over time and better scenarios have been presented so that people easily enter this market obtaining enough profits to stay. You do not have to go too far because with a little research on how the economy that surrounds real estate in cities such as Miami or Fort Lauderdale is, you can see the great profitability it has and without looking too much, just by seeing the amount of investors foreigners and the strategic point in which South Florida is located we understand very well why it happens what happens. Tourism is one of the main businesses in any place that has potential for this and the cities where this economy is managed always play in favor of the welfare of the real estate market because it creates rental opportunities, to sell or to create new spaces so that Buyers or people who need a place to start their professional ventures. Elements such as highly educated immigration, being a main part of commercial and air routes thanks to its geographical location or being the headquarters of large companies represent a great boost for an area of ​​Floridas in which nature has also been added to the main attractions of which no one can escape bringing in this way a large number of people with the spirit to grow and in turn elevate quality levels in every way. 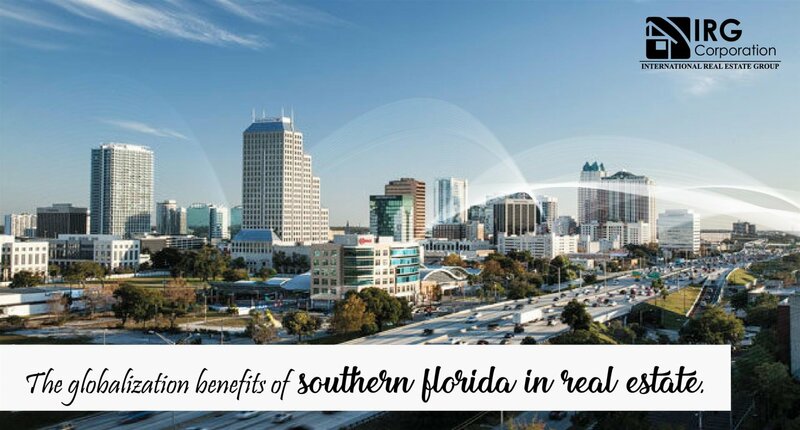 A city will always be represented by the people who live there and how they are able to develop their potential for profit and South Florida represents so many opportunities that it is almost inevitable to resist that. Either to live or to invest in properties of some kind, this is one of the best places to do it.